This year, definitely is a milestone for the collaboration between Dutch Lady Malaysia and the Ministry of Education as the dairy company’s involvement in Anugerah 3K programme was renamed Drink.Move.Be Strong Special Project; and for the first time, resulted in a 4.0 fold increase in participation. This project is an initiative from Dutch Lady Malaysia as a mean to help address and prevent the development of noncommunicable disease (NCD) among the young generation. Anugerah 3K (Kebersihan, Kesihatan, Keselamatan) is an annual national awards programme which educates and recognizes primary and secondary school children in their efforts to improve their school environment based on three key aspects – hygiene, health and safety, in which Dutch Lady Malaysia is a strategic partner for the health component and the main sponsor for Anugerah 3K programme since 2015. The increase in participation can be attributed to extension of the programme to state level this year, where winner schools are selected from every state in Malaysia. 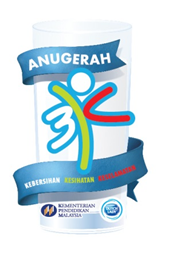 From the central region, SK Kampong Medan and SMK Kota Kemuning emerged as champions for Anugerah 3K category in Selangor; SK Putrajaya Presint 9 (2) and SMK Putrajaya Presint 14 (1) were on first place for the same category in Putrajaya; and SK Taman Koperasi and SMK Puteri Ampang were the state winners for Kuala Lumpur. The latter also swept up first places from the Drink and Move categories respectively with SMK Sinar Bintang winning the Be Strong category. Dutch Lady Malaysia’s Managing Director, Ms Saw Chooi Lee said that Drink.Move.Be Strong is a campaign that advocates drinking two glasses of milk a day and spending at least an hour on physical activities. “We are proud to have collaborated with the ministry since 2015 to inculcate these healthy lifestyle habits among school children; and we are pleased to continue our corporate social responsibility to help address noncommunicable disease (NCD) issues among the young generation through our Drink.Move.Be Strong Special Project,” she added. She added that unhealthy diets and physical inactivity are the key risk factors to noncommunicable diseases (NCD) development. Hence, Drink.Move.Be Strong is also initiated to help address Malaysian children’s nutrition issues found in the South East Asian Nutrition Survey (SEANUTS). The research indicated that one in five children studied is overweight or obese; and nearly half the children suffer from calcium and vitamin D insufficiency. It is also reported that a high proportion of school-aged children have low physical activity. Therefore, there is a pressing need for better nutrition and dietary practices, as well as regular physical activity among Malaysian children as a mean to reduce the risk of developing noncommunicable diseases (NCD). With regards to the increase in school participation this year, Deputy Minister of Education I YB Dato’ P. Kamalanathan said that he is very pleased that school participation in the programme has grown immensely since the last year, from 51 to 200 schools. He attributed the growth in the key decision to kick-start activities earlier in March at state level. “By creating a momentum before entering the national level, which starts in the second half of the year, more awareness of Anugerah 3K and Dutch Lady Drink.Move.Be Strong Special Project can be raised. This has definitely encouraged higher participation from every state in Malaysia” shared Dato’ P. Kamalanathan. 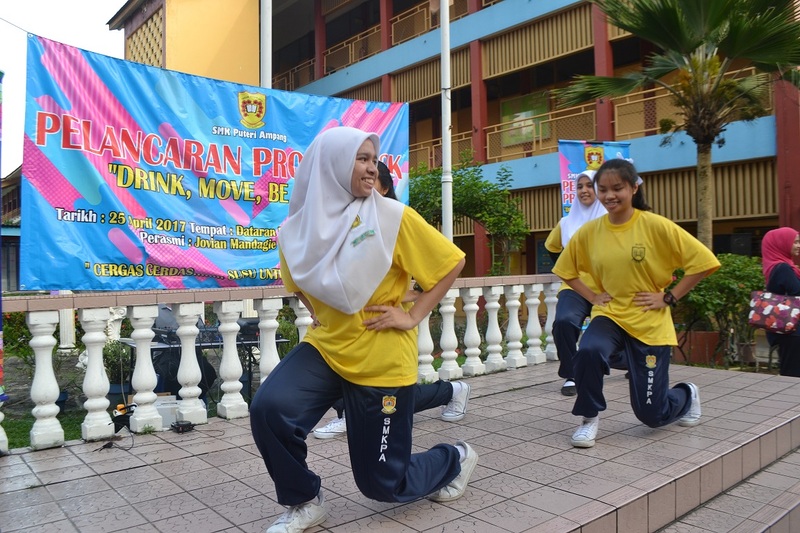 “We are proud of our achievements in the 3K program and Drink.Move.Be Strong Special Project,” said Zahariah Binti Abdul Halim, principal of SMK Puteri Ampang, one of the winners of the programme and project. “Our participation provides the students an opportunity to improve and learn more about the school environment and how to incorporate milk drinking as part of a healthy lifestyle,” Zahariah continued. 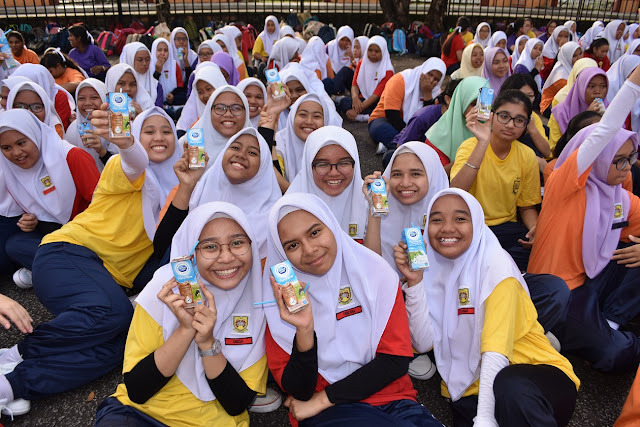 Students of SMK Puteri Ampang drink up their milk for strong bones and other nutritional benefits! Participation for Anugerah 3K and Dutch Lady Special Project Drink.Move.be Strong state-level submissions took place between March to early May 2017, with prize-giving ceremonies for winning school in each state starting mid-May. Winning schools at the state level will be evaluated for the awards at state-level with the final results to be announced on 30 October 2017. For more information on Dutch Lady Drink.Move.Be Strong campaign, please go to this page.